In 2017, we celebrated the 10th anniversary of Hargeysa International Book Fair, and we were focusing on our chosen theme of Connectivity. Each year, HIBF has focused on a specific theme and we have previously explored themes including Freedom, censorship, citizenship, collective memory, visualization the future, Journey, Imagination, Spaces and Leadership & Creativity. In the last nine years, we have had six guest countries including Nigeria, Malawi, Ghana, Kenya, and Djibouti as well as none African countries such as the United Kingdom. Our guest country last year was Ghana, with eight authors and artists attending HIBF2016 and we had the privilege to host South Africa this year. The preparations for the book fair went well, artists attended, hotel bookings and other technicalities fixed, and the dates of the book fair were 22-27 July 2017. 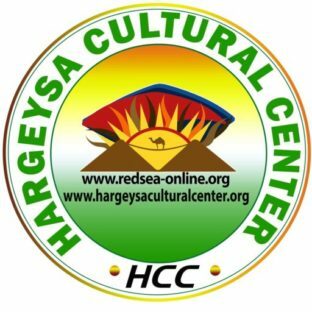 Because we are celebrating 10 years of HIBF, we wanted the culture celebrates the city of Hargeysa. We therefore proposed to have multiple venues and arranged contemporary parallel sessions. This was also to improve our policy of reach out to diversify the audience and offer quality delivery according to the specific audience. Educational institutions like University of Hargeysa, Somaliland National Library new site, cultural hubs like Hiddo Dhawr and Laalays restaurants, as well as our historical venue at Guuleed Hotel and the new venue of the Hargeysa Cultural Centre, in the heart of the city, hosted different and sometimes parallel events during the six days program. As culture is to know the other people and their places: HIBF organized this year a tour within the program at Laas Geel, a historical archeological site located 45 KM from Hargeysa in East. A poetry reading session took place in the village at Laas Geel. The 11th Hargeysa International Book Fair will take place in Hargeysa from 21-26 July 2018. This year the festival incorporates the 40th Anniversary of the Somali Studies International Association, which coincides also the 13th Congress. More information to come soon on both HIBF and SSIA, so watch this space s well as the official website of the Book Fair: www.hargeysabookfair.com. For the Somali Studies International Association congress, refer also www.somalistudies.org. Intertwined with this, HIBF2018 will be hosting Somali Studies International Association 22-24 July 2018 (SSIA18), with Somali knowledge production filled by foreign people (something we often ignore) during a period of difficulties of war - it is important to consider how that factor changed Somali literature and how with a young Somali scholars emerging once again to claim their space within Somali knowledge production- this yet again will change and shape our understanding.